In my last blog entry I posted about DSNTEP2, the batch SQL program. But there is another batch SQL program named DSNTIAD that is less widely-known and used. DSNTIAD is an assembler application program that can issue the same DB2 dynamic SQL statements as DSNTEP2, with the exception of the SELECT statement. For this reason, applications programmers almost always prefer to use DSNTEP2 rather than DSNTIAD. DSNTAID is written in Assembler language. Because DSNTIAD is a sample program, its source code could be modified to accept SELECT statements if you so desired. But this task is complex and should not be undertaken by a beginning programmer. So why would anyone consider using DSNTIAD over DSNTEP2? Well, DSNTIAD supports the LABEL ON statement, whereas DSNTEP2 does not. But unlike DSNTEP2, DSNTIAD does not accept comments embedded in SQL statements. Also note that DSNTIAD can be a little more efficient than DSNTEP2 because it is written in Assembler. · The COMMIT, ROLLBACK, EXEC SQL, EXPLAIN, and LOCK statements. Certain severe errors cause DSNTEP2 to exit immediately. One severe error is a -101 “SQL statement too long or too complex". On February 28, 2006 IBM announced the latest planned upgrade of its stalwart mainframe operating system, z/OS. IBM has announced some interesting new functionality for the new version, V1.8. Planned are improvements in scale, availability, security, and resource optimization. Also, there is an increased focus on simplification to make z/OS easier to use. The actual IBM announcement can be read here. Further details can be found in this handy summary of z/OS futures planning put together by Jim Schesvold, a technical editor for IBM Systems Magazine. IBM plans for z/OS V1.8 to be available in September 2006. Keeping up-to-date with the latest and greatest DB2 versions and functionality can be a time-consuming task. Every 18 to 36 months IBM announces a new version of DB2 with even more features and functionality than ever before. DB2 will soon celebrate its 25th anniversary. The basis for DB2 began with IBM’s System R research project. In 1982, IBM delivered SQL/DS on VM and VSE, and then a year later in 1983, IBM released DB2 for MVS Version 1. 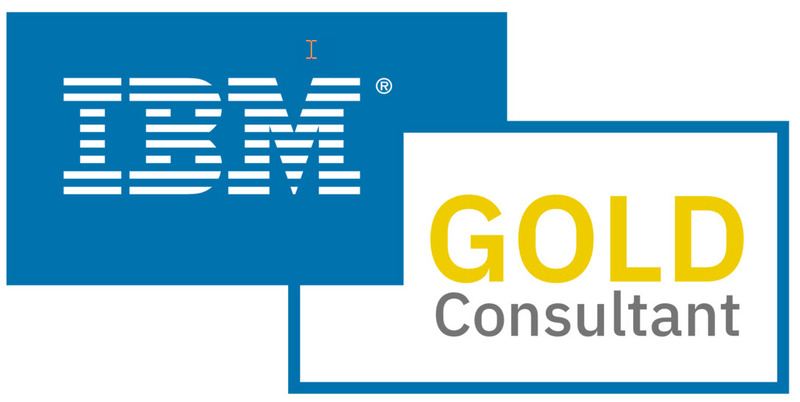 Through subsequent versions and releases IBM has improved the functionality and performance of DB2. Functionality aside, though, it can be difficult to keep track of new DB2 versions. Questions like “What version has which feature?”, “How much longer will IBM support the DB2 version we are running?”, and “When should we begin to migrate to a new versions… and which one?” are very common in this day and age of rapid technology change. Let’s examine some of these questions. First of all, we need to understand some basic terminology: “withdrawal from marketing” and “withdrawal from service.” When IBM withdraws a product from marketing the product will no longer be advertised or sold by IBM; but IBM will continue to service and support customers. When IBM withdraws a product from service you will no longer be able to get technical support for that product… unless you negotiate extended service (at an extended price) with IBM. So, the current version of DB2 for z/OS is Version 8 and it has been available for just over 2 years now. And it seems that the announcement of the next version of DB2 is imminent, what with some of the Vnext presentations IBMers are delivering. But the big question these days, for most shops, is not the next version, but the current version. Most DB2 users are still running Version 7, but they will need to migrate to Version 8 soon. If you are running an earlier version of DB2 (than V7) you really should waste no time in getting to V7 – not only is it a solid release, but you’ll need to start worrying about V8 soon because the projected end of service date for DB2 Version 7 is September 2007. You can keep an eye on the current versions of DB2 that are available by bookmarking this link http://www.ibm.com/software/data/db2/zos/support/plc/. IBM keeps this information up-to-date regarding the end of marketing and end of service dates for DB2 versions. Is there any option to check whether data “IS NUMERIC” in a DB2 table? We want to examine CHAR data but return only those where the entire data consists only of numbers. For example, can we write a query like this? Well, if you try to cast non-numeric data to numeric you will get an error. But you can test the data beforehand - digit by digit - using the SUBSTR function. You’d have to break the VAR column down using SUBSTR to get each individual character and test whether that character is between 0 and 9 – then only if all characters are between 0 and 9 would the result be returned. This will return only those rows where every digit in the VAR column is a number between zero and nine. Just a quick post to promote the upcoming SHARE conference in Seattle, WA. For those who don't know, SHARE Inc. is an independent, volunteer run association providing IBM customers with user focused education, professional networking, and industry influence. SHARE is the longest-running, functional computer user group having been founded in 1955, just two years after the release of IBM's first computer. SHARE holds two conferences annually, one in the spring and one in the fall. And I regularly attend and speak at each conference. The next conference is coming up next week, the week of March 5th 2006. I am scheduled to speak at SHARE in Seattle on Monday (3/6) and Tuesday (3/7). The two presentations I'll be delivering are An Hour of DB2 for z/OS Tips and Techniques and A DB2 for z/OS Performance Tuning Roadmap. If you plan to be in Seattle, stop by and say "Hello."